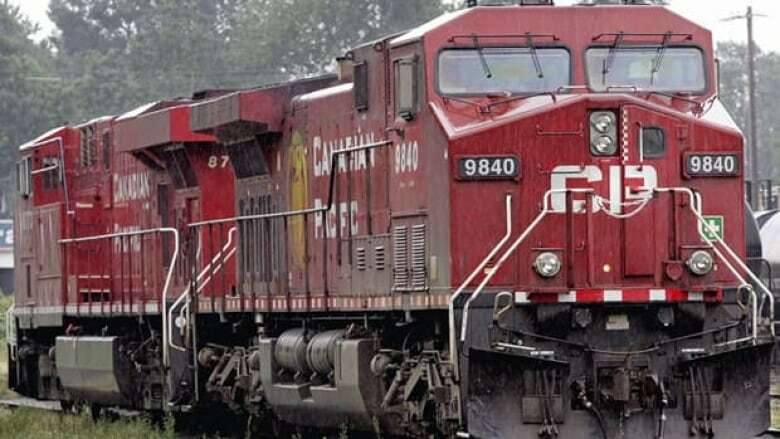 A rail strike has been temporarily averted after the federal labour minister ordered employees of Canadian Pacific Railway Ltd. to vote on the company's final offers, just hours before they were set to walk off the job. Statements from both CP Rail and two unions representing workers say the minister's order to administer a ratification vote on each of the offers follows advice of federal mediators. In a release late Friday, representatives for the unions recommended that their members reject the company's offers. Earlier this week, the Teamsters, which represent over 3,000 CP Rail conductors and engineers, and the International Brotherhood of Electrical Workers, with about 365 signal and communications workers, gave the railway a 72-hour notice of strike action. CP Rail said in statement that the minister's order means there will be no disruption in commuter or freight service as was previously expected in Ontario and B.C. But a statement from the unions say the company's offers don't have a "chance in hell of being ratified." An electronic vote on the offers will be conducted by the Canada Industrial Relations Boards at an undetermined date. Via Rail Canada warned passengers Friday of possible morning train cancellations on Saturday and Sunday between Sudbury and White River, Ont., if the shutdown of CP Rail services were to go through. "VIA Rail is following the negotiations closely and is currently analyzing the scenarios and potential effects of the work stoppage on its operations in order to minimize the impact on its passenger services, should it occur," it said in a statement, adding it was in contact with customers who have reservations on affected trains. Greater Toronto transit operator Metrolinx warned of possible delays for customers on its Milton and Barrie lines if CP Rail managers filling in for union workers would have been unable to address signal or switch issues on CP Rail-owned portions of the corridors. It added CP also owns a section of corridor leading into the Hamilton GO Centre and train service to and from this station would have not been provided, although regular GO bus service was expected to continue and extra buses would be put into service. The BC Rapid Transit Company said Friday it would have provided buses if the CP Rail disruption stopped its West Coast Express train service in the Greater Vancouver area. Canadian Pacific said it was preparing with its customers for a possible strike by executing a "safe and structured shutdown of its train operations in Canada." The strike was to take effect as of midnight on Friday. In a post on its website on Friday, CEO Bob Masterson of the Chemistry Industry Association of Canada said the disruption would have interrupted about $20 million worth of daily shipments by his member companies. He added that switching cargo to Canada's other major railroad, Canadian National Railway Ltd., wouldn't have been an option even if access to CN lines are possible because his members have been "told clearly that CN's network is not in a position to take on extra capacity."